Kyle Eastwood (born May 19, 1968) is an American jazz bass musician. He studied film at the University of Southern California for two years before embarking on a music career. After becoming a session player in the early 1990s and leading his own quartet, he released his first solo album, From There to Here, in 1998. 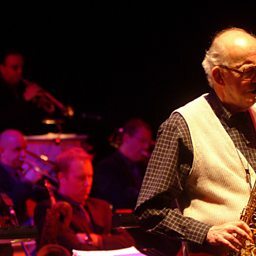 His album, The View From Here, was released 2013 by Jazz Village. Eastwood plays fretted and fretless electric bass guitar and double bass.